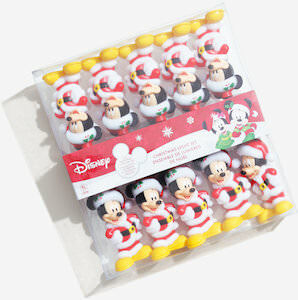 If you want some fun lights for Christmas then you should check out this Mickey Mouse string lights. The string light has 10 lights and they look like Mickey Mouse dressed up like Santa Claus and that makes them perfect for the Christmas tree or anywhere else around the house. And you can use these Mickey Moues Christmas lights indoors and outdoors and I am sure that they will look stunning when on in the dark. Disney is ready to be part of your Christmas decorations and I am sure that you can keep using Mickey for many more Christmas holidays. If you want special lights for a fan of Dory then this Finding Dory string light is what you want. The lights are great fun to bring light to any room and are great for the Christmas tree too. And you can use these Dory lights inside and outside. The Finding Dory string light has 10 lights and they all look like the famous blue fish that we all know by the name of Dory. At a length of 138 inches, this string light can go places and there are 12 inches between each Dory light. 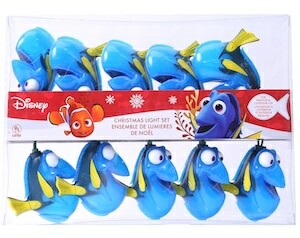 Kids party, Christmas, or just fun decorations these Dory lights will make a lasting impression and will bring light. 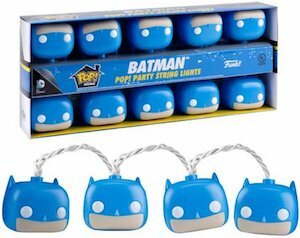 If you need lights that are fun then you have to check out this Batman Pop! string light. The string light has the head of Batman as lights and it’s not the Dark Knight you get as he would not bring light but you will get the head of a Pop! figurine made by Funko as a light and that is more round and that makes it give lots of light. You can use this Batman string light as Christmas tree lights and they are also great as room decorations or to bring Batman to your Batman party in the form of light. 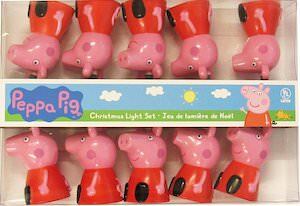 How about haveing Peppa Pig lights this Christmas? Because you can thanks to this Peppa Pig string light that has 10 Peppa Pig lights on them that look exactly like this fun pig. Peppa is her usual self-wearing her red dress and she is happy to bring light to the dark. You can use this string light on your Christmas tree or just to decorate a room as kids will love seeing Peppa Pig all year round. And the Peppa Pig string light comes with extra bulbs and a fuse so that you can keep it going if something happens. 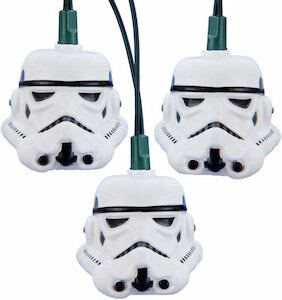 When decorating the Christmas tree you need light and that is why you can now get this Stormtrooper string light. So your Christmas tree can be Star Wars themed thanks to this light string. On the string, you will find 10 Stormtrooper helmets and they will bring light to the dark and that is what everyone wants in the holiday season. 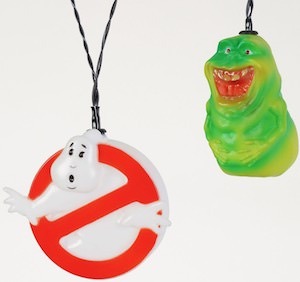 But besides, for the Christmas tree, you can use these lights for other fun things too. Is your bedroom a bit dark, put a Stormtrooper string light in and that is a thing of the past? If Despicable Me and Minions are things you like then why not add that fun to your Christmas decorations. 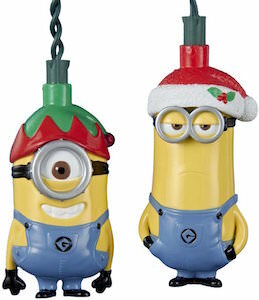 Now there is a string light with Minions Kevin and Stuart on it and they are dressed up for Christmas. Both the Minions wear funny Christmas hats and that together with them being lights is of course a lot of fun. The Minion sting lights is for indoor use only and has 10 Minions on it and each light is 12 inch apart with a lead wire of 30 inch making this the perfect sting light for the tree or anywhere else inside the home. This string of lights features two different zombie heads that are based after the walkers in the hit series The Walking Dead, when they are lit up the walkers heads look just as gruesome and gory as they do in the television show. Each string of lights has 10 zombie heads on a 9 foot cord, the cords can be plugged into other cords to easily connect more. It can be used for indoor or outdoors and each string of lights comes with 4 replacement bulbs and one flashing bulb. What a great way to decorate your zombie themed party room or for Halloween outside. 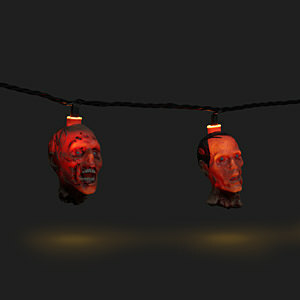 Have some freaky fun with The Walking Dead Zombie Walker Heads String Lights. Minions are fun and would be a great addition to your life. And now you can have 10 Minions in you home in the shape as a string light. You can decorate the Christmas tree with Despicable Me lights or use them just to decorate the kids room or even the outside tree. This set has 10 minion lights 5 shaped like Carl and 5 shaped like Minion Dave. And these fun Minion lights even come with replacement bulbs so that they can last a long time. 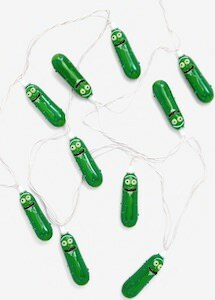 Kids and adults will love these fun lights and they are just perfect for so many occasions. 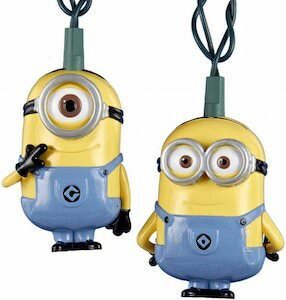 Don’t wait come get your Despicable Me Minion String Lights.